Paul Witten, Product Director at SIS, explains how numbers betting can boost turnover and keep casual bettors engaged for sportsbook operators. Million-pound giveaways were the promotional campaign of choice for sportsbooks this summer, as they attempted to drive awareness and customer acquisition ahead of the World Cup, one of the busiest periods for operators. These eye-watering sums of money that were up for grabs are proving to be an effective tool in sparking interest amongst bettors. The promise of winning millions of pounds should you predict the outcome of various results is more than appealing to the average bettor. These jackpot-style games of course are influenced heavily by the lottery sector, where the offer of a major prize has been common practice for years, with its obvious benefits. Take the £121 million EuroMillions jackpot won by a lucky UK player earlier this year. The huge jackpot generated great excitement amongst the public and grabbed the headlines across Europe. Within our industry alone, the likes of BetVictor and PokerStars have managed to create added interest with bettors as a result of their respective jackpot campaigns during the World Cup. These score prediction games, whose aggregated odds format offer big prizes, have shown their worth as a viable betting product, but with the World Cup now over for another four years, there are alternative daily options available to sportsbook operators. Take numbers betting, for instance. Many of the vertical’s characteristics are likely to appeal to the same customer base, given that they can get odds of up to a huge 50,000/1. While bettors are drawn into the potential of a big return, it’s a product that is proven to provide additional revenue streams for operators. For operators, the addition of numbers betting to their online sportsbook or retail outlet can provide high margins from a small investment. With the draws taking place remotely and witnessed by independent adjudicators, proceedings are streamed directly to operators anywhere in the world. As shown in the lottery sector, the live pictures add authenticity to the experience and develops trust with bettors able to see the numbers selected as and when it happens. Similar to live sporting occasions, being able to place a wager on something unfolding right in front of their eyes increases excitement levels by a notch or two. In the UK alone, the numbers betting market is worth over £1billion, demonstrating its value as an effective product for operators. These games appeal to the casual sports bettor in a similar way an accumulator does, where they place a small wager in the hope of claiming a high return. Similar to eye-watering jackpots, it’s the dream of winning big which lures the bettor in and keeps them entertained. Keeping bettors entertained, as well as filling the schedules with engaging content is of high importance for all operators, especially with customer loyalty being as fluid as it is. It is key to meet customer demand for markets to bet on at the times they want to bet. Numbers betting is a good way of engaging with bettors when there are gaps in live sporting events schedules, and they’re easy to understand for recreational bettors. 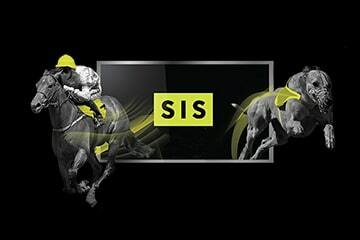 At SIS, our 49’s numbers and virtual betting content is available to operators across the globe, providing higher margins than traditional sportsbook products. The 49’s live draw takes place from a state-of-the-art studio, bringing integrity to proceedings. In addition, we offer a wide range of bet-on-lottery products from around the world, including the popular Irish Lotto Bet, as well as the fast-paced Keno-style game known as Rapido. As a trusted partner to the betting industry for more than 30 years, we have the knowledge and expertise to provide operators with a product that is easy for their bettors to understand, and that they can engage with right away, which can drive incremental revenues. The use of jackpots has proven to be an effective acquisition tool for sportsbook operators this summer, with bettors attracted to the large potential pay-outs for a small outlay. Online and retail operators can capitalise on this even further with the integration of regular numbers betting content, providing an increase in betting turnover.